Do you like movies? Do you like things that are named after the place where you live? 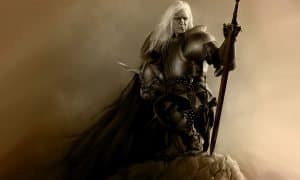 Do you like free stuff? If these weirdly specific questions apply to you, you just may be able to score a free year of Amazon Prime. 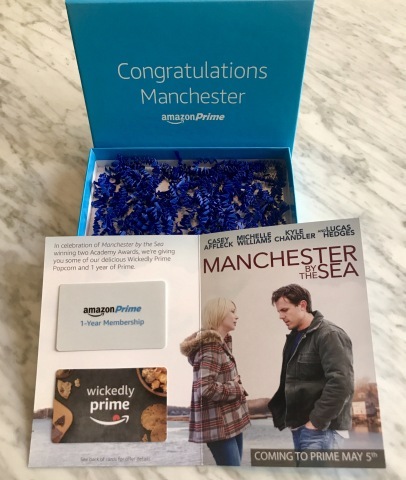 To celebrate the streaming release of their Academy Award winning Amazon Original movie, Manchester By The Sea on May 5th, Amazon is offering a free year of Amazon Prime and a three pack of Wickedly Prime popcorn to residents living in Manchester-By-The-Sea, Massachusetts. If this seems like a somewhat odd combination, it is. 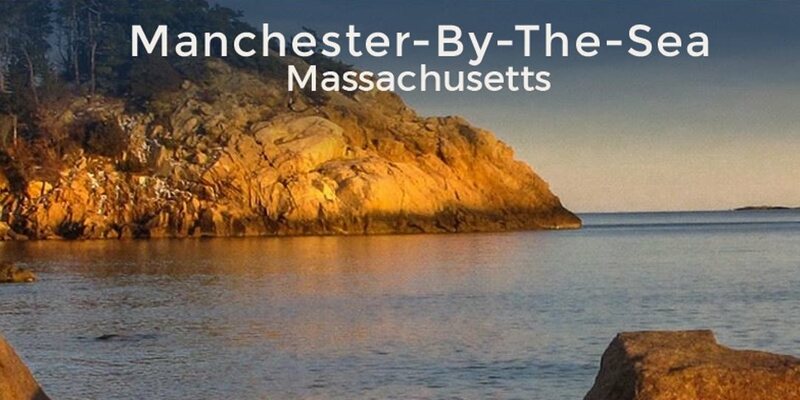 The 5,136 residents of Manchester-By-The Sea (the city, not the movie) are invited to enjoy Manchester By The Sea (the movie, not the city) as part of the promotion. Admittedly, Prime members in areas outside of Cape Ann in Essex County, Massachusetts, can also enjoy streaming the film starting on May 5th, but you’re on your own, as Amazon won’t be picking up the tab for your Prime access. 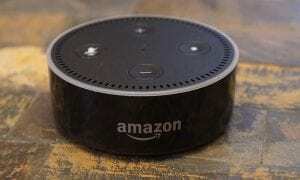 Households in Manchester-By-The-Sea (the city) should be receiving a care package from Amazon with gift cards redeemable for the Prime access as well as the popcorn. With free Prime Shipping, the popcorn should arrive ahead of the streaming release date for Manchester By The Sea (movie) on May 5th. Do you live in Manchester-By-The-Sea? Do you want to watch Manchester By The Sea? Tell us what you think in the comment section below or on Google+, Twitter, or Facebook. You can read more about this promotion in the full press release below. SEATTLE–(BUSINESS WIRE)–(NASDAQ: AMZN) — Amazon’s Academy Award winning film, Manchester by the Sea, arrives on Prime for members to stream on Friday, May 5. To celebrate the film Amazon will give every home in the town of Manchester-by-the-Sea, MA one year of Amazon Prime and a 3-pack of Wickedly Prime Popcorn. Manchester by the Sea will be available for Prime members to stream starting May 5. 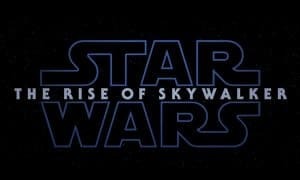 Customers can view the film using the Amazon Prime Video app for TVs, connected devices including Amazon Fire TV, mobile devices or online at Amazon.com/originals at no additional cost to their membership. Prime members will also be able to download the film to mobile devices for offline viewing. Manchester by the Sea joins Amazon Prime Video’s line-up of award-winning and critically acclaimed Original Series and Movies. Amazon is sending a gift box to every home in Manchester-by-the Sea this week. Customers will receive a code to claim their one-year Prime membership and 3-pack of Wickedly Prime Popcorn. On Friday, May 5, they can start streaming their namesake movie Manchester by the Sea. Earlier this year, Amazon Studios, the original film and TV production arm of Amazon Prime Video, received seven Oscar nominations and took home three Oscars, making Amazon Prime Video the first streaming service to win Academy Awards for Best Actor, Best Original Screenplay and Best Foreign Language Film. Manchester by the Sea took home two Oscars – Casey Affleck won his first Oscar for Best Actor, and Kenneth Lonergan won his first Oscar for Best Original Screenplay. The Salesman, written and directed by Asghar Farhadi, won Best Foreign Language Film. In addition to these Amazon Original Movies, Moonlight, the Academy Award winning film for Best Picture starring Mahershala Ali and directed by Barry Jenkins, will be added to the Prime Video line-up on May 21.